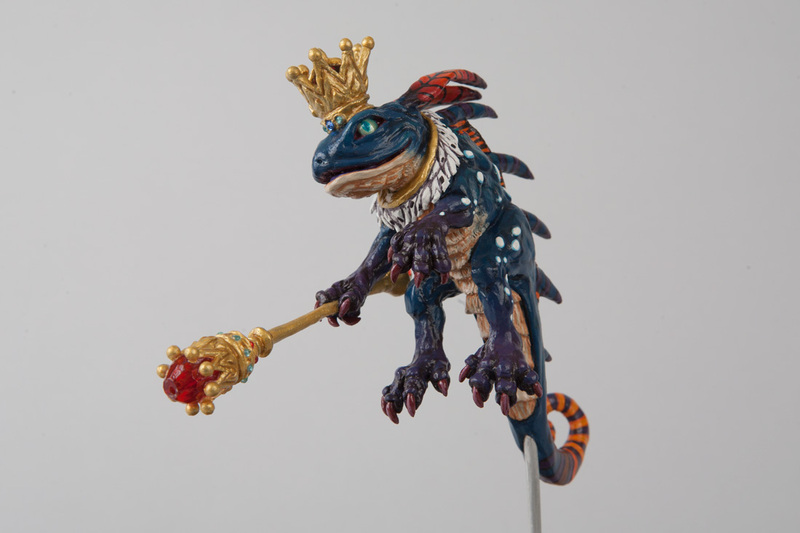 You don’t want to be my enemy…"
I’m Community Manager Kimberly “Vaeflare” LeCrone, and today I wanted to share with you the final steps of a unique project that began last year. 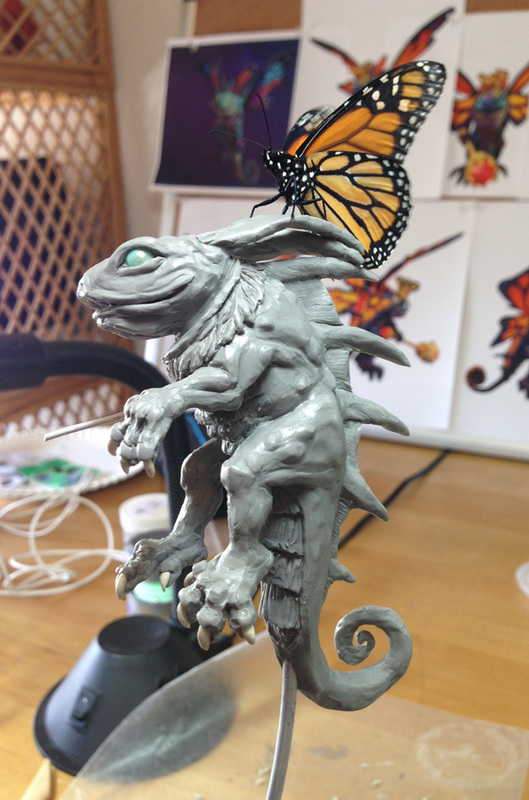 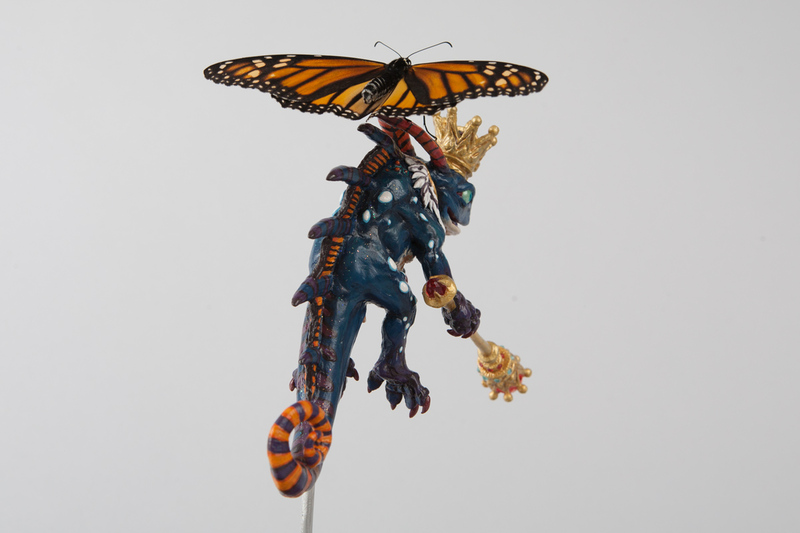 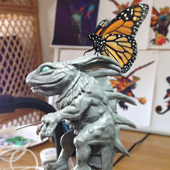 Previously I shared with you how this project began and the various stages required to sculpt the Monarch Brightwing sculpture that will serve as the base of what may very well be the world’s first butterfly cosplay! 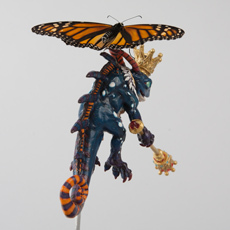 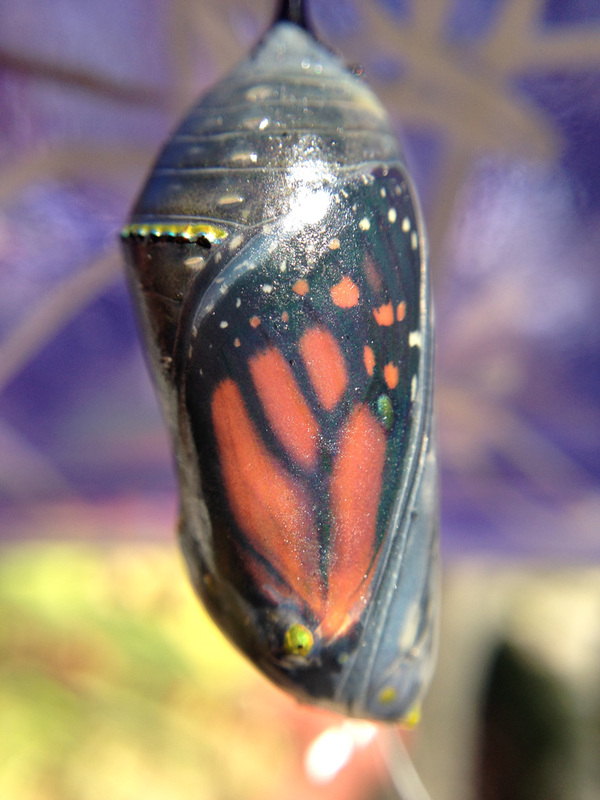 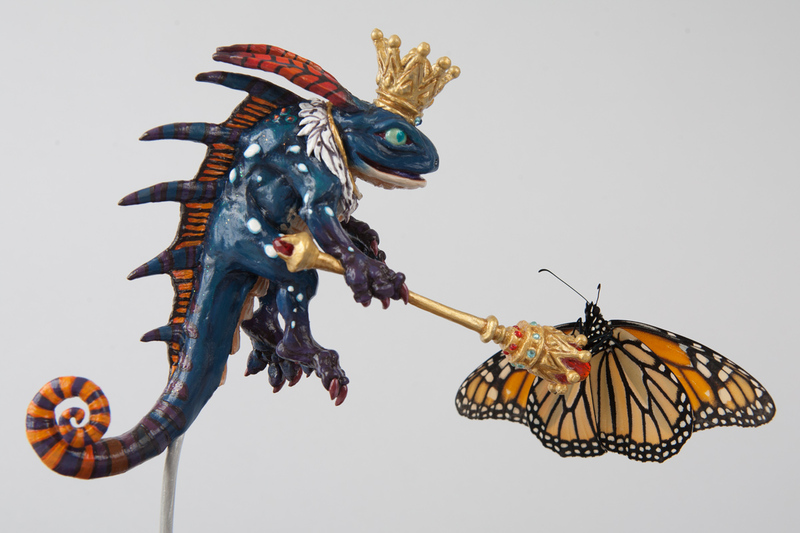 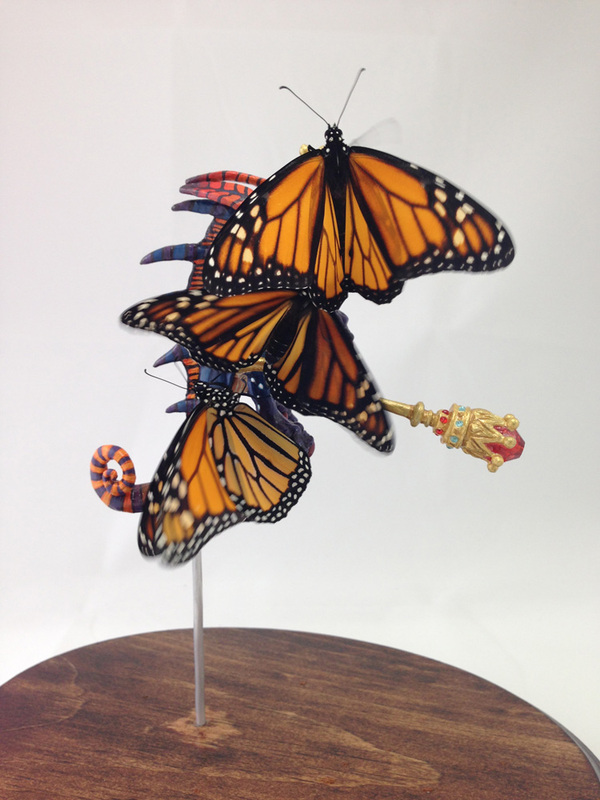 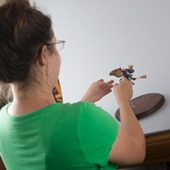 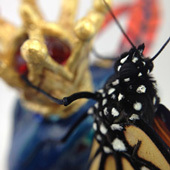 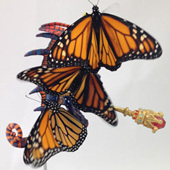 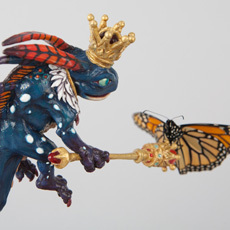 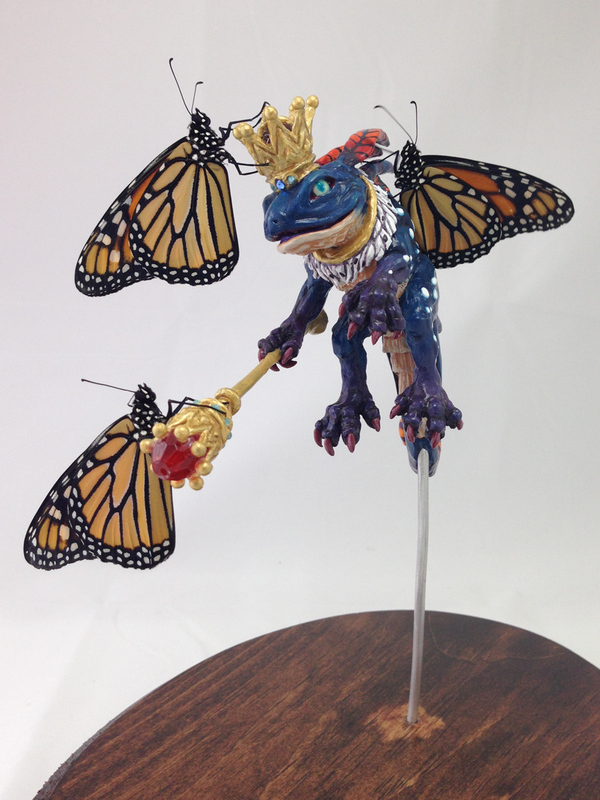 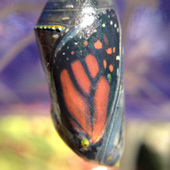 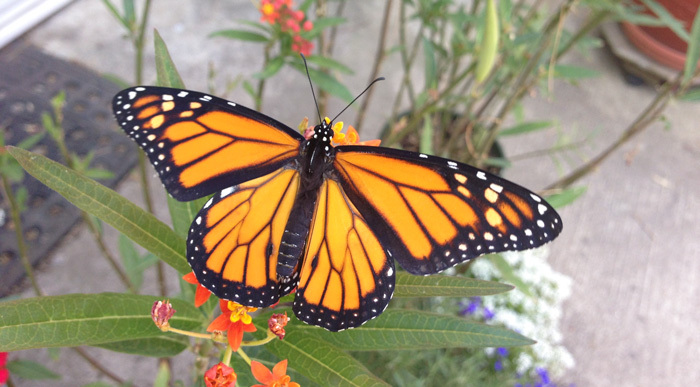 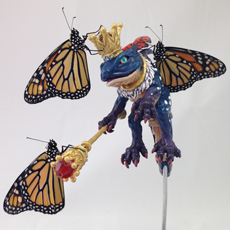 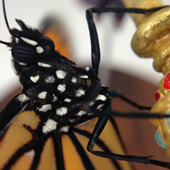 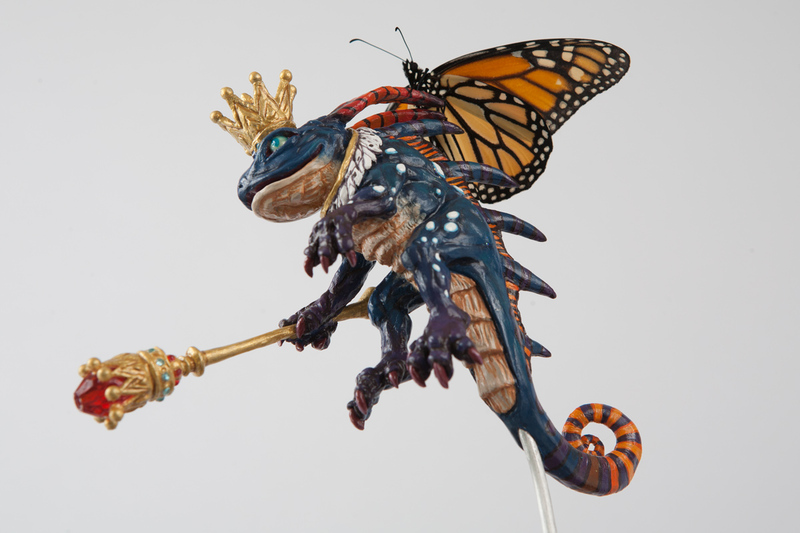 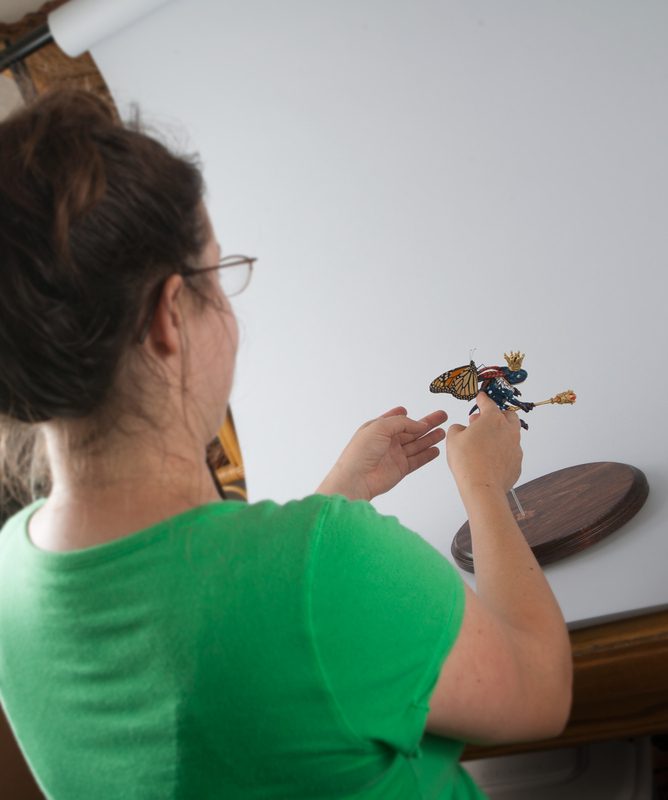 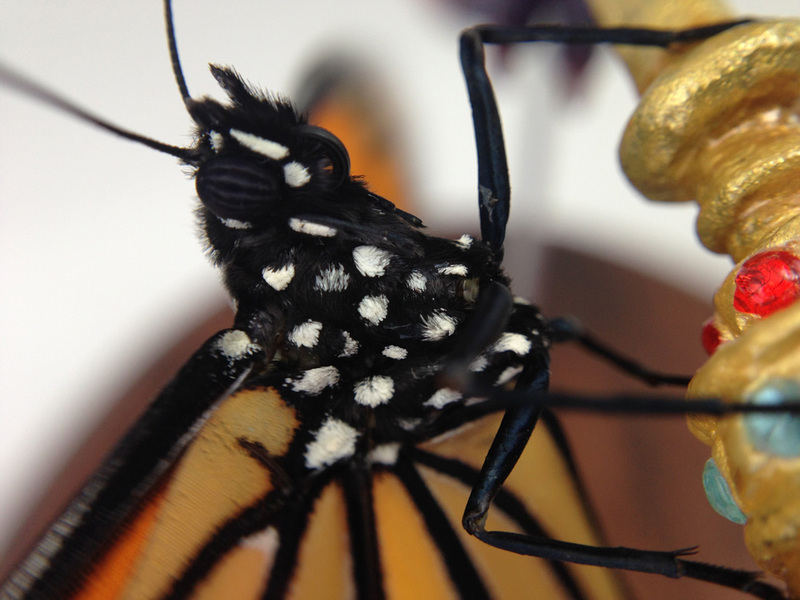 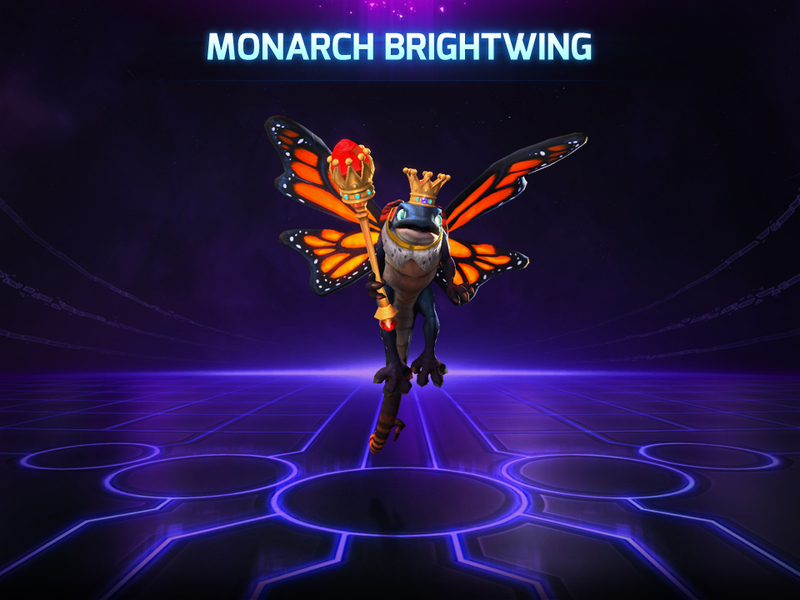 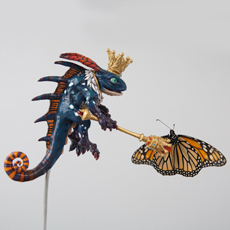 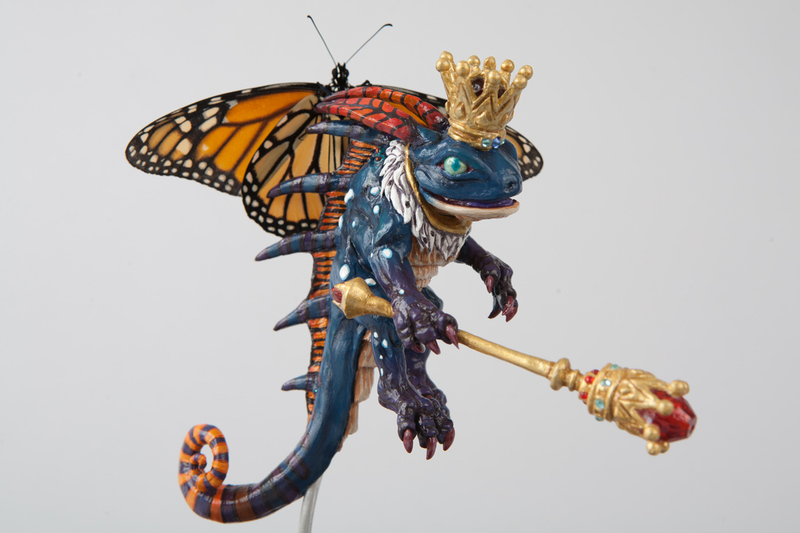 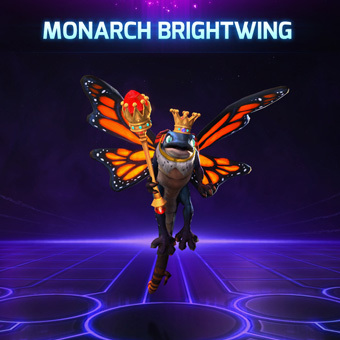 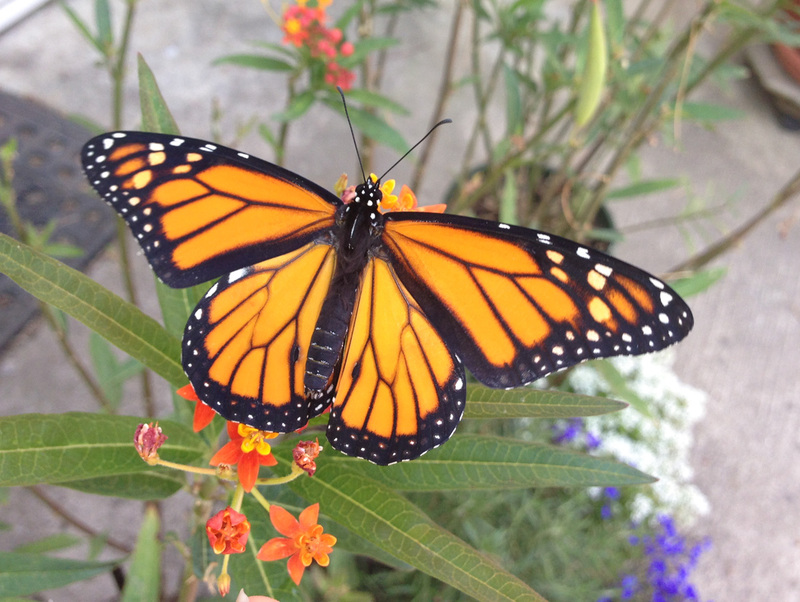 * In this second part of this blog series, I showed you the colorful and creative steps that followed, and in this blog, we’re putting it all together and bringing Monarch Brightwing to life with a live monarch butterfly! 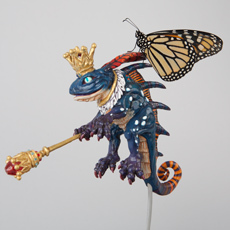 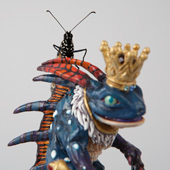 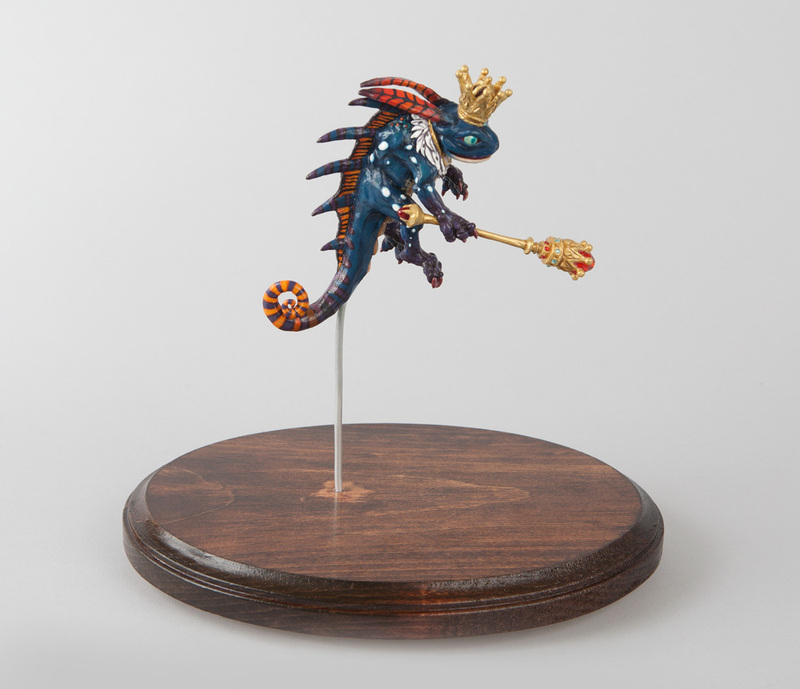 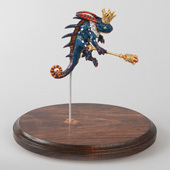 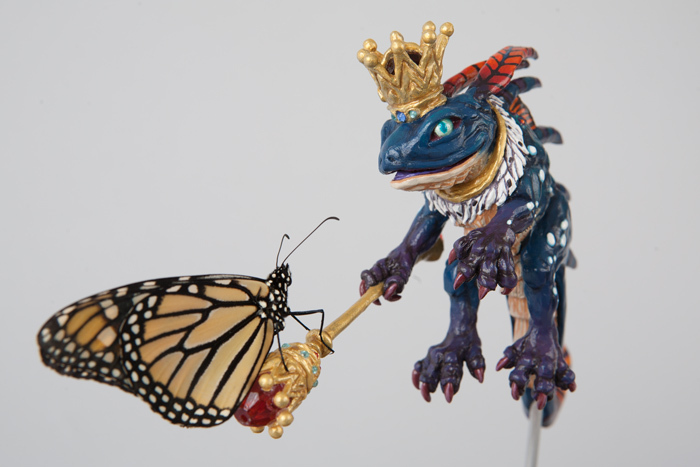 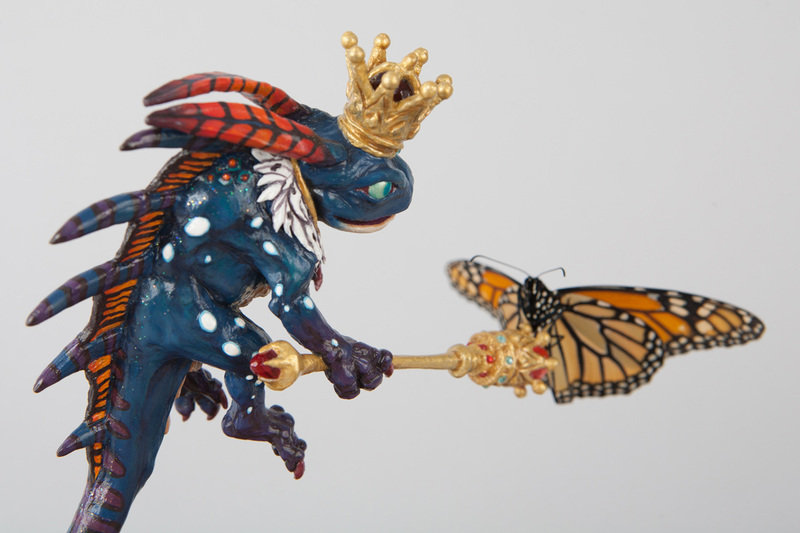 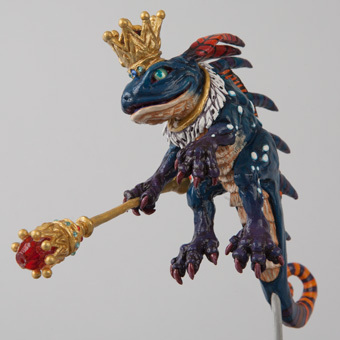 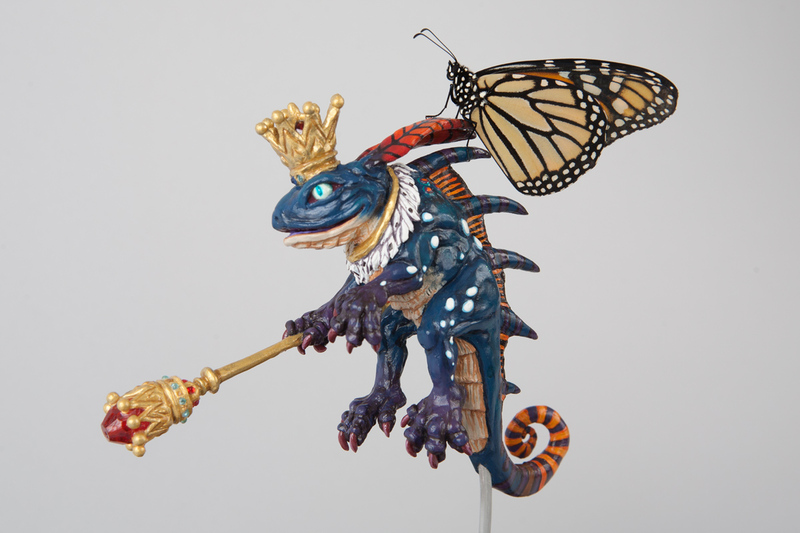 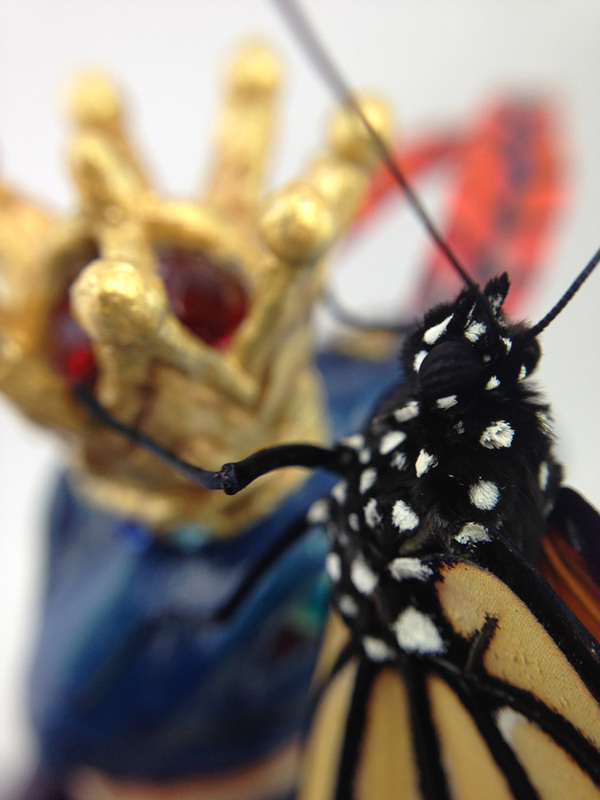 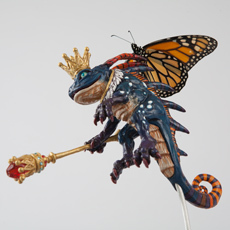 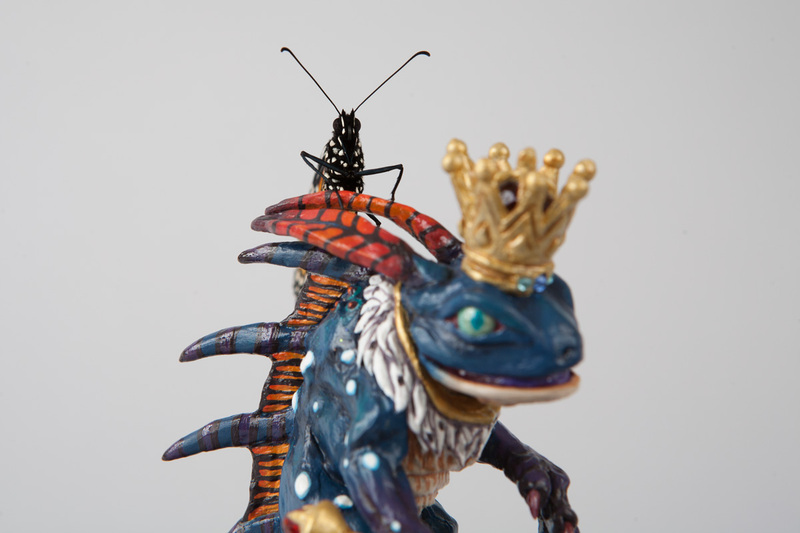 The regal skin that inspired it all next to the finished sculpture!